Things are starting to get busy for us, and we thought we'd give you an update! Our current exhibition The Art of Friendship is underway, showcasing works by Janet Chapman and Maureen Whitaker. The exhibition ends on March 18th, so if you haven't been in to see their work yet, we recommend you come in and catch it while there is still time! The gallery will be open 11am-3pm daily. Working in mixed media, many of Jan's vibrant pieces feature stamps, pages from children's storybooks and Japanese calligraphy, as well as details that even the most discerning eye doesn't pick up on the first few viewings. Jan is inspired by colour, patterns, shapes and nature, as is evident in her work. She enjoys "the colour coordinating, the form coming together - the way it can express and emote." Having studied art in high school, Jan always felt at home in the art rooms. It wasn't until years later when she became involved in an art show at her children's primary school that she reconnected with the "hands on" side of art again. Since taking a class at The Creative Space, where experimentation was encouraged, her work blossomed and Jan has been using her new found confidence to try out new techniques, and learning that growth as an artist takes place through experimentation and observation. US-born Maureen Whitaker is an award-winning artist/graphic designer based on the Mornington Peninsula. She graduated with Highest Honours from Platt College of Art & Design in Colorado and was a freelance graphic designer for over 15 years before adding a paintbrush to her toolbox. Best known for her quirky mixed-media collage pieces, her work combines interesting layers of textures with vibrant colours in an array of mediums. Do you take great photographs? If so, you should enter our photography competition! Entry Form and Terms & Conditions can be downloaded from our website. We'd like to extend a very big thank you to our event sponsors Officeworks Frankston and Peninsula Camera Centre for contributing prizes! Did you know that we have Tai Chi/Qigong classes at FRANK every Friday at 2:30pm? Your 1st class is FREE, so come on down! Suitable for all ages and abilities. Netta Ditchburn of Body Harmony Moves is an Holistic Fitness Trainer as well as one of our resident artists at FRANK. Netta practices the form of Tai Chi known as Shibashi, with 18 flowing movements performed in the forward-facing position. The moves are coordinated with the breath, help to focus the mind, and great for posture and balance. The moves help to dissolve tension, stress and increase energy and vitality. Come and experience peace... Tai Chi/Qigong moves are gentle and flowing. It is a mindful meditation in motion which promotes serenity and inner peace. Slow down and reconnect. Bookings are essential - please phone Netta on 0423 104 442. You can follow Body Harmony Moves via the buttons below. Being a not-for-profit community organisation, we welcome and are very appreciative of donations. We'd like to give a special thank you to a local resident, Kevin Simpson (pictured left). Kevin regularly pops in for a chat with our volunteers, and over the past few months has kindly given us a number of art books, paint brushes and delightful jokes! It's always a pleasure to see Kevin, whose presence brightens the gallery. 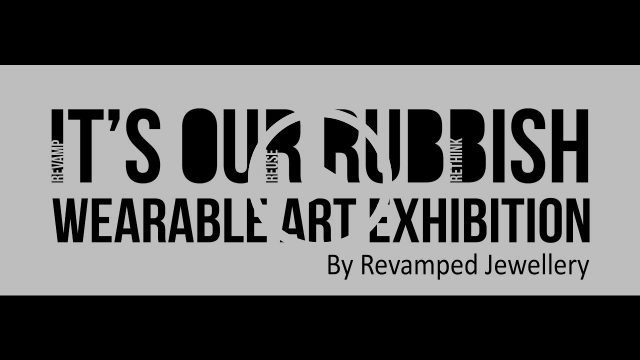 On February 12th we held the launch event for It's Our Rubbish - Wearable Art Exhibition. Entries close Saturday May 6th 2017, and works will be exhibited at Cube 37 (Frankston Arts Centre) 10th July 2017 - 5th August 2017. Prizes will be awarded for "Most recyclable material used", "Most interesting wearable art piece" and "Peoples Choice". You can download an entry form and the terms & conditions here. For further inquiries please contact Mara 0405 023 234 or Tina 0407 561 333. Our first exhibition of the year, "Divergent", was a hit - thank you to all who attended! Susan Young, Manjusha Manjusha and Kristen Kinstler met while volunteering here at the FRANK Cre8 gallery, and through their shared passion for art, decided to collaborate and hold their own debut exhibition. The trio all sold artworks and it looks like these emerging artists have a bright future ahead of them. They also appeared on the radio show Arts About! 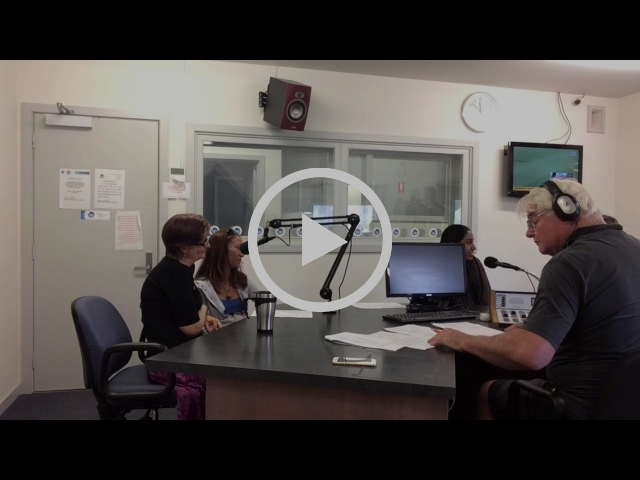 (RPP FM) - below is the video footage. 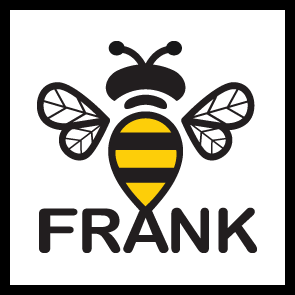 Thank you from the FRANK team - we hope to see you soon! Copyright © 2017 FRANK Cre8 Inc. all rights reserved.